Today, we combine our exceptional service with the modern tools and methods at the forefront our industry. Our friendly staff operate in a close team environment, with the resources to ensure each client – and property – receives the personal attention needed for the Best Results. 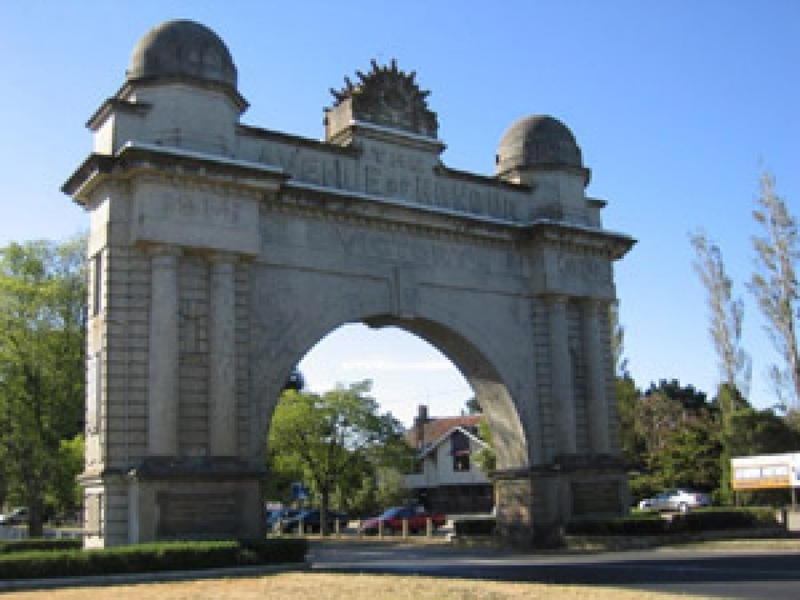 Since the 1920's the name Bartrop has been synonymous with Real Estate in Ballarat. In 1876 William Little succeeded to the Real Estate business of James Oddie, Ballarat's first Auctioneer. William Little later became Mayor of Ballarat, and his business thrived. However, it was destined to be taken over fifty years later by the firm of Edgar Bartrop Real Estate. On 19th December 1921, Edgar Bartrop commenced business as an Estate Agent in a two roomed office "down the passage" at 22 Lydiard St Sth. The agency soon progressed to the stage where he was able to purchase "The Ballarat Agency" of G. Norris at 35 Lydiard St Sth, opening onto the street and with a show window. Then followed the acquisition of the agencies of Ottaway and Blomley & Blomley. In 1930, despite the depression, came the opportunity to purchase the agency of H. J. Dunston, successor to the old established William Little and Co., and later the freehold of 54 Lydiard St Sth. Under the Bartrop Control the business continued to expand. Ballarat's first "Ideal Home Exhibition" its first "Contrast Home show" and an active "Home building service" were most successfully promoted. Mr. Bruce Bartrop joined his father in 1952 and the family company was subsequently incorporated. Mr. Bruce Bartrop assumed the position as Managing Director in 1964. With a number of further absorptions of other established real estate agencies the company continued to grow. Members of the firm have always been involved in real estate industry matters. Not only through the Ballarat Real Estate Institute Branch, but throughout Victoria, Australia and overseas through the International Real estate Federation. The late Edgar Bartrop was a founding member of what is now "The Real Estate Institute of Victoria." Both he and Bruce Bartrop are past Presidents of the Institute - holding the distinction of being the only members outside the metropolitan area with offices West of Melbourne to ever be elected to the position until 2011. Both have also been awarded life membership of the Institute, Edgar in 1972 and Bruce in 2002. It is fitting that the office of Bartrop Real Estate stands on the site of the first house in the City of Ballarat, erected by Mr. James Meek in 1852 when bullock hide and stringy bark were said to be the mainstays of the country. Mr. Meek paid 50 pounds to a man for splitting the slabs of which the walls of the house were built. 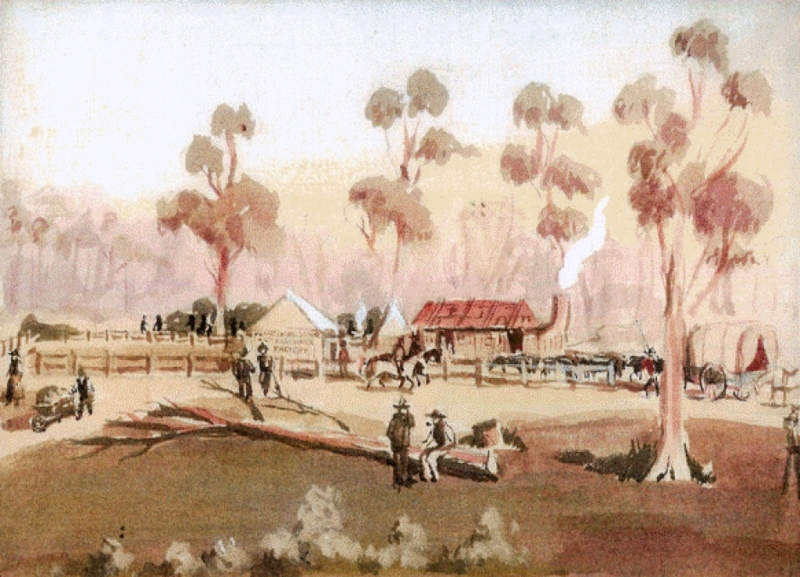 The aboriginal camp in the background between Mr. Meeks house and what is now Armstrong Street Sth and the other details are all realities which make a complete historic picture showing what our world famed and beautiful city was like in 1852 just two years before the Eureka Stockade Rebellion. Imagine a city where the air is clean and the countryside green; a place where the rewards are high and the cost of housing is affordable. Historic Ballarat combines the best of country and city living in a remarkable setting: it's handy to Melbourne for business and entertainment (just over an hour's drive), but far away enough to have established an incomparable lifestyle. One of Australia's largest inland cities is a world of its own, a predominantly green one. The city of 81,000 people is home to numerous parks, public gardens and lakes that are perfect for picnics and relaxing. Ballarat also boasts four distinct seasons, much to the envy of many other residents of country Victoria. The streetscapes are more than attractive, too. As well as splendid examples of Victorian architecture, the gold boom of the 1850s left a legacy of wide roads that make getting around a breeze. Safe streets, a 24-hour taxi service and a comprehensive public transport system also help take the worry out of travelling. Ballarat hosts a thriving alfresco dining, arts and music scene (its nightclubs and live-music venues are guaranteed to suit every taste and age). Her Majesty's Theatre is arguably Australia's most historic theatre building, and the Ballarat Fine Art Gallery boasts the oldest and largest public art collection in regional Australia. Each year the city stages several exciting festivals, including the Begonia Festival, Springfest, Organs of the Goldfields, Heritage Week, Royal South Street Eisteddfod and Arts in the Park. The community also enjoys an extraordinary variety of services. You can choose from an impressive range of educational institutions, medical services, places of worship, clubs, cinemas, shopping centres, world-class sporting facilities and celebrated tourist destinations such as Sovereign Hill, Eureka Centre and Ballarat Wildlife Park. Ballarat is a goldmine for those seeking new tastes in wining and dining. The downtown district and streets surrounding Lake Wendouree host a selection of excellent restaurants and cafes, many serving local wines and meals prepared from the finest homegrown produce.